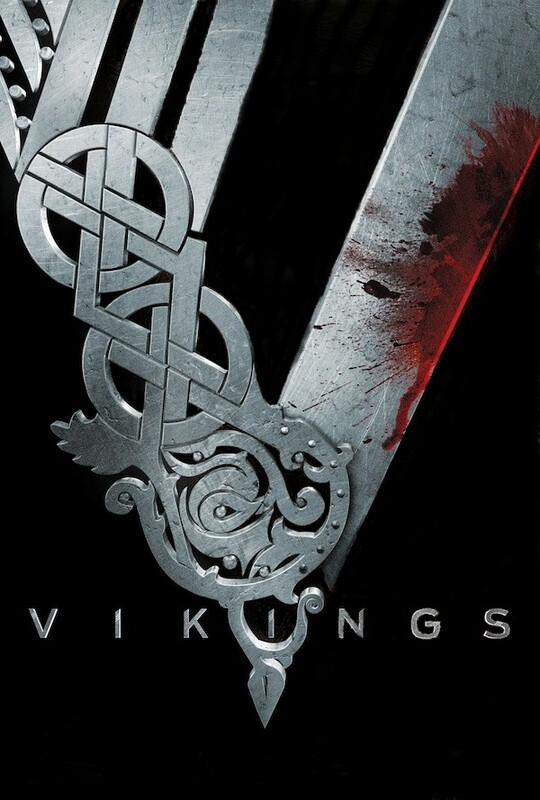 Vikings Season One is certified very fresh at Rotten Tomatoes, with a score of 81%; Metacritic gives it a 71, with generally favorable reviews. Earl Haraldson: You have been found guilty of murder. How do you wish to die? Earl Haraldson: Feed him to your pigs. And I curse him. May he never enter Valhalla. May he never feast with the gods. Earl Haraldson: Oh yes. Yes. A choice, yes. I’ve heard of these rumors, these stories. That if we travel west, that we will somehow reach a land that is rich and plentiful. But I tell you that I will not risk my ships or my reputation on such a deluded fantasy. Messenger: They have set sail. Earl Haraldson: Good! They’ll never be heard from again. 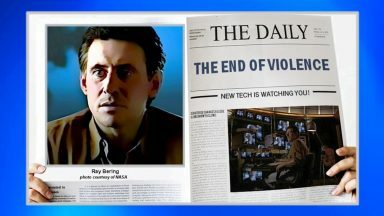 Messenger: But what if Ragnar is right? Earl Haraldson: There are no lands in the west! Earl Haraldson: Look in the flames. The sages say that we can see our future in the flames. Siggy: See what you’ve done, my lord? Never doubt your power. With just a few words, you’ve stripped Ragnar Lothbrok of all his treasure. He’s nothing to you. You are all power, all authority. You can have whatever you want. 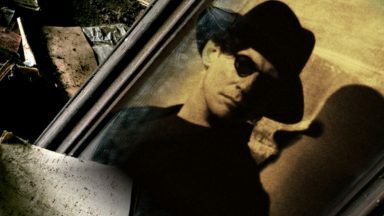 Earl Haraldson (to the Seer): What do you read? Tell me. The Seer: Ask me a question. EarlHaraldson: Are the signs threatening? The Seer: Yes. There is a quarrel. There will be violence. Bones and skulls broken. I see that. He searches for your death. Consults the gods to whom he claims kinship. 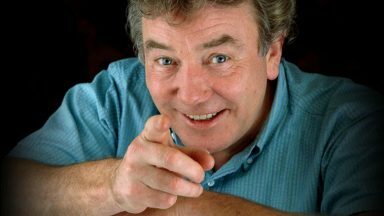 Earl Haraldson: Who could believe such a thing? Earl Haraldson: Do the gods speak? The Seer: Ah, they never stop! Earl Haraldson: The gods have always been favorable to me. The Seer: They allowed your sons to die. Earl Haraldson: Do the gods really exist? 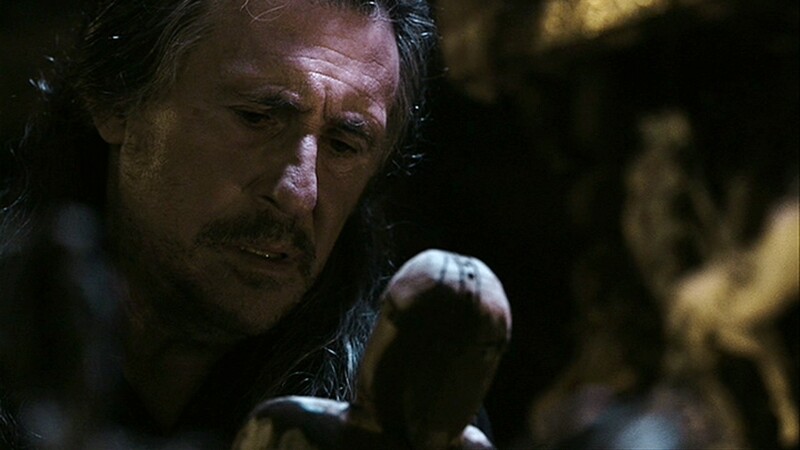 Earl Haraldson: Let the man who thinks he is descended from the gods learn that he is human after all. Siggy: Don’t you care for her happiness? Earl Haraldson: I care for her security and her future–and ours. This marriage will bring us land and important alliances. The gods must have seen that we need them. Siggy: You told me nothing of this marriage. You have treated me with utter contempt. You don’t care. Earl Haraldson: I stopped caring about a lot of things when our boys were murdered. Earl Haraldson: I was thinking about our boys, what they would look like now. Siggy: Don’t. Don’t think about them. Think about tomorrow. Earl Haraldson: When I must kill a man for whom I have the utmost respect. Siggy: Respect? You respect Ragnar Lothbrok? Earl Haraldson: Why not? He is what I used to be: restless, ambitious. And he was right about the western lands. But I always knew that in my heart. 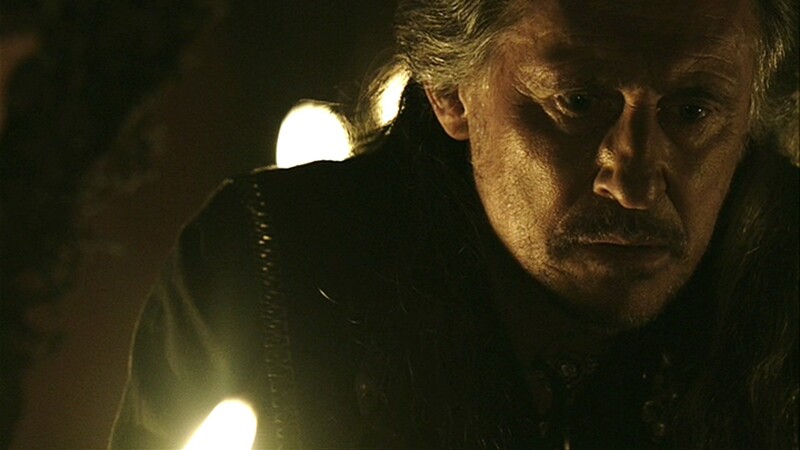 Siggy: The Seer promised you would kill him? 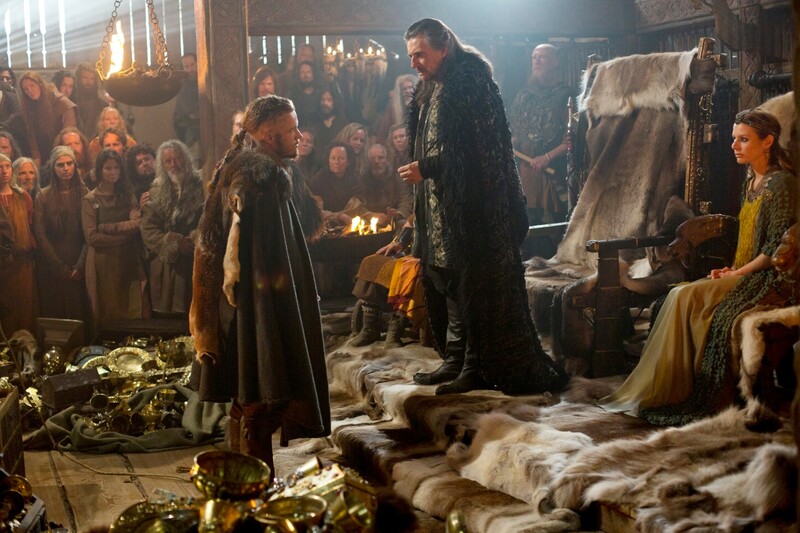 Ragnar: Lord Odin is here, waiting to see which one of us he will take to his great hall. Earl Haraldson: So I shall dine after all at the high table of the Aesir. Tonight I shall be drinking with our boys. 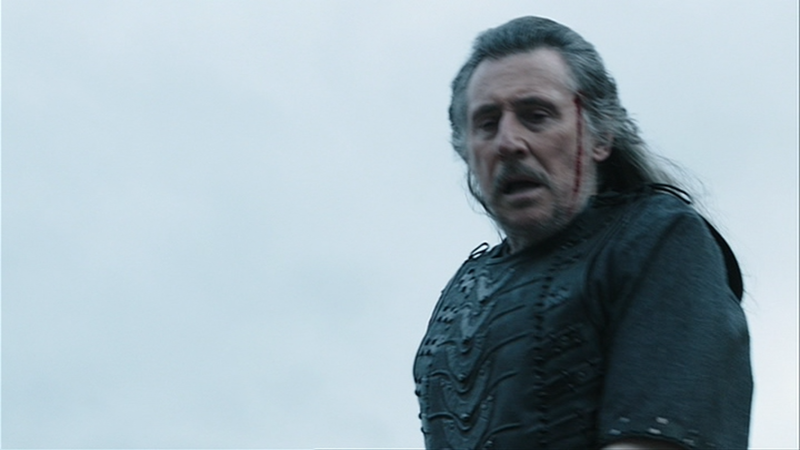 Athelstan: Why have you agreed to give Earl Haraldson such a big funeral? Is he not your enemy? Ragnar: He was also a great man and a warrior. He earned his renown in this life and now in death he deserves such a funeral. The Earl’s Slave Girl: I can see my master. He is in Valhalla. He calls me. Let me join him then. 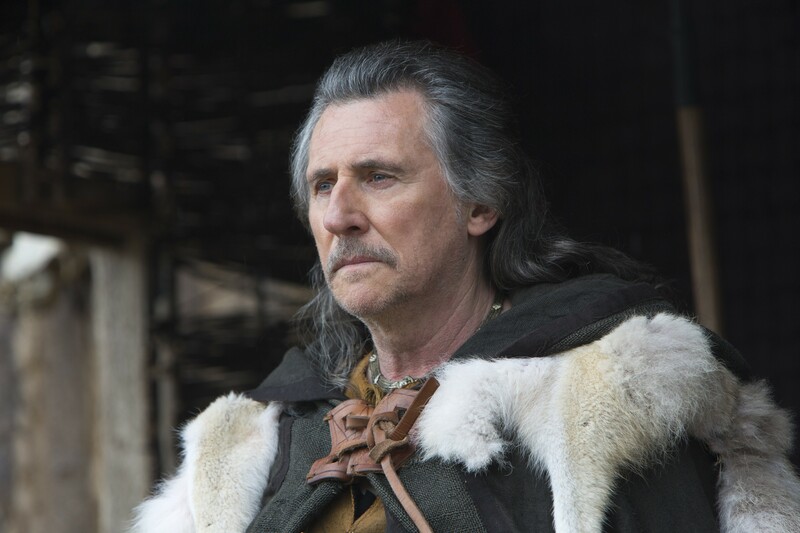 Moving past the halfway point of the first season, it’s abundantly clear that Gabriel Byrne’s Jarl had to go. I went into the reasons in last week’s review, but essentially it’s that we’ve seen his like before. Vikings has convincingly introduced characters whose actions and motivations seem to spring from someplace we are simply unfamiliar with. It’s the show’s greatest strength: Ragnar and a handful of others (Floki, especially) are products of an alien world and are all the more fascinating because of it. 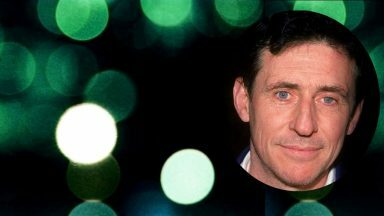 Gabriel Byrne’s Jarl is a hoary archetype of duplicitous villainy, his every move echoing back through all-too-familiar screen history, and therefore far less interesting. So why isn’t his death more encouraging, or welcome? Things do perk up significantly in the duel itself, thankfully. 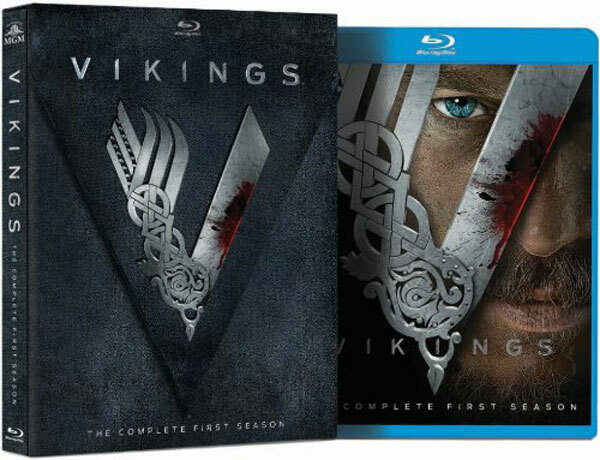 Vikings is compelling, bringing us into its convincingly delineated domain, and the buildup to the combat itself (each man gets two shields only), as well as the way Ragnar and the Jarl play out their fight (convincingly brutal and no-nonsense), serve to paint this world in stark and authoritative detail. Vikings’ action scenes remain some of the best-directed and most striking on TV, and in their lethal interaction here, both characters are further developed with each blow they make. And while the outcome is never in doubt (I mean, come on—did anyone expect Vikings to be the continuing adventures of Jarl Haraldson? ), at least Byrne gets in some decent storytelling before he’s shuffled off. In contrast to his signature deviousness, Byrne’s Jarl plays this one straight up, fighting honorably and according to the time-honored Viking rules of combat. He gets his licks in (against an ambush-weakened Ragnar, but still), and when he dies, as Mr. Worf would say, he dies well. 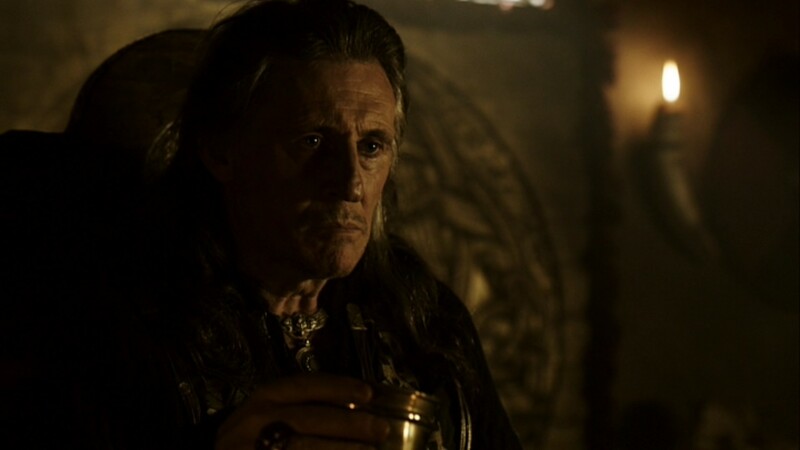 He’s still not a great character, but in dying, Byrne manages to bring out some evocative contradictions in the man: Having lived long and lost much, the Jarl is, at the end, clearly at peace with his life seeping away at the hands of Ragnar Lothbrok. Especially when he’s reasonably convinced he’ll be drinking with his gods come nightfall. Fimmel is well-matched by Winnick, who’s convincing as a woman who can go to battle with these giant men, and also by Gustaf Skarsgard (brother of Alexander from “True Blood”) as Ragnar’s eccentric ship-building friend Floki. Byrne is playing more of a stock villain, but he also lends credibility to this maiden voyage for History, and Jessalyn Gilsig from “Glee” plays well to type as the Earl’s cunning wife. 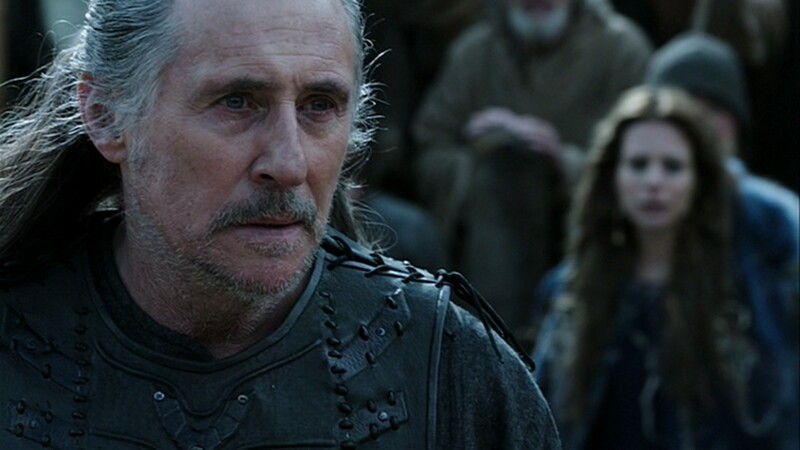 Byrne’s Earl is fixated on maintaining his own power, and he is threatened by Ragnar’s ambition. 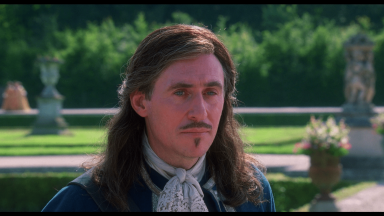 Looking a bit like Liam Neeson in “Rob Roy,” with long stringy hair, Byrne brings an effective sense of menace to the series. At one point, he invites a servant to sleep with his wife, Siggy (a fantastically cagey Jessalyn Gilsig), then has him punished when he moves to take advantage of the offer. They make a wonderfully horrible couple, Byrne and Gilsig, and complicated, too, since much of their awfulness is fueled by grief. 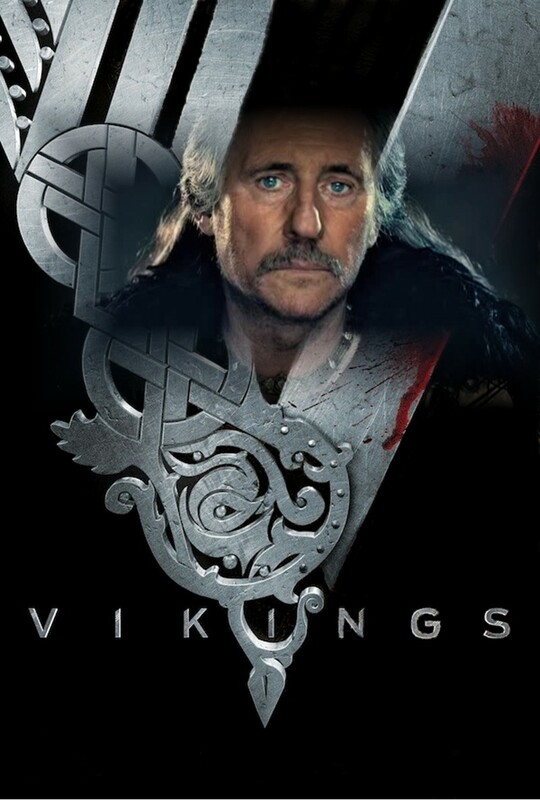 Vikings was created by Michael Hirst, who previously brought us Showtime’s The Tudors, and this is clearly designed to occupy the ground between that historical drama and Game of Thrones. What those two shows have, and Vikings dearly lacks, is real intrigue. For the most part, the characters here display little interest in metaphorically stabbing an adversary in the back when they can actually stab him in the front. Yes, Fimmel makes a nicely kinetic lead, and Byrne could entertain by reading the phone book — or merely casting his lizard-eyed stare upon it. But much like the condition of that monastery after Lothbrok and his buddies have finished ransacking it, Vikings is kind of a mess. But Vikings grows a lot in the second episode, then grows more in the third, etc. That’s encouraging, especially because Hirst’s worldview of the Vikings is coming into focus and the characters are beginning to broaden. 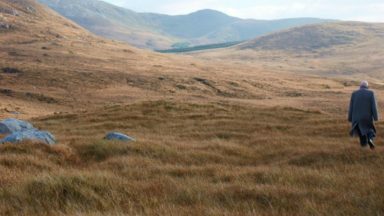 All the lush Irish countryside doesn’t hurt, nor do the constant battles. Q: What do you think will draw viewers to “Vikings”? A: It is a tremendously exciting story, and because it’s the History Channel, there will be many facts, rituals, battles and costumes that people will be intrigued to learn about. I also think people will begin to see the connection between ancient history and modern politics. And you recognize that maybe technology has changed, and maybe the way we live our lives has changed, but essentially human beings are not that different. We still make love and we make war, and we still have the need to conquer. We just do it with more effective weapons now. 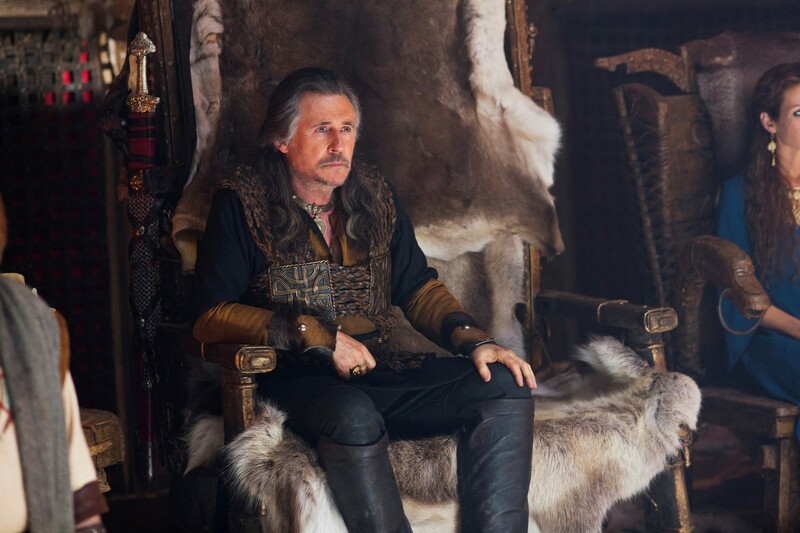 If there’s one thing Gabriel Byrne has learned in recent years, it’s the importance of a comfortable chair. 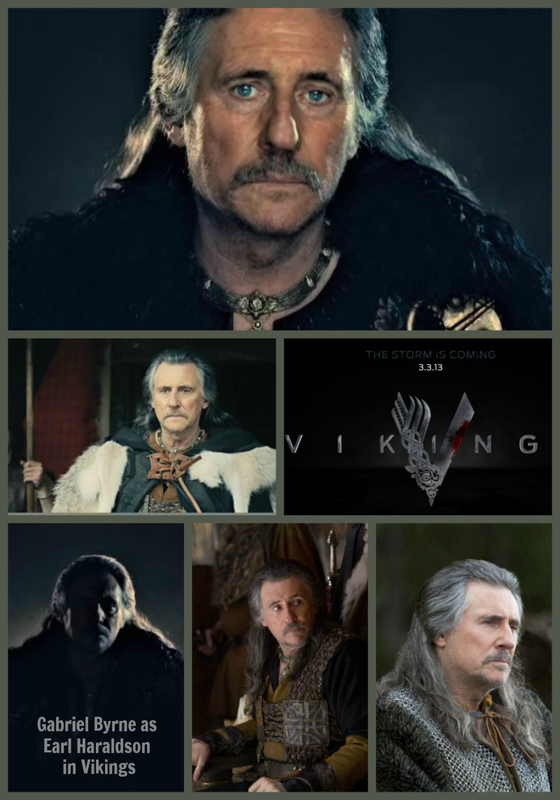 After a marathon 106 episodes as psychologist Paul Weston on the HBO drama “In Treatment,” Byrne stars in “Vikings,” History’s first full-length scripted series, as Earl Haraldson, a Norse chieftain with a flowing salt-and-pepper mane (all his own, thank you very much) and a taste for cruelty. Despite the considerable differences between the shows — one set almost entirely in a shrink’s office in brownstone Brooklyn, the other in 8th century Scandinavia — they both left Byrne, well, uncomfortable. “My biggest problem was always the chair. I would spend more time testing out the chair than anything else,” the actor says of his “In Treatment” experience. 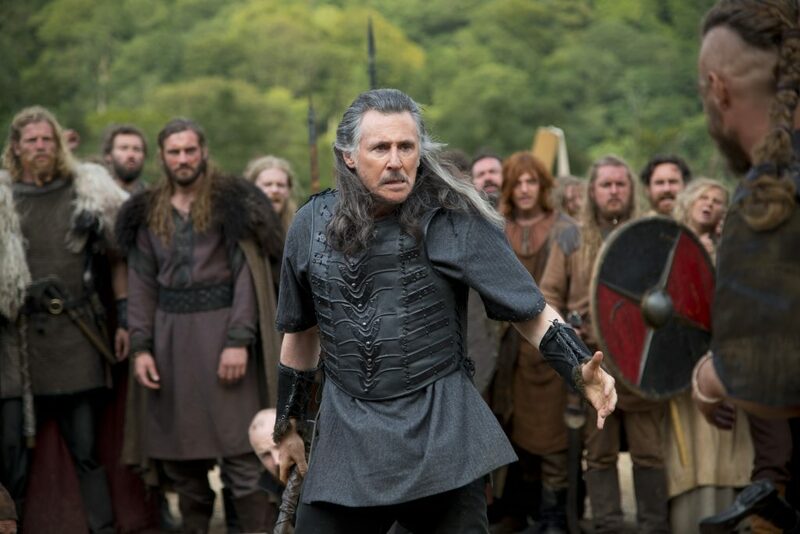 In “Vikings,” filmed in his native Ireland last summer, Byrne’s Haraldson can mostly be found perched in a regal throne, ordering his subjects on another plundering mission or condemning them to death via public beheading. “Thinking that it wasn’t going to be anything like ‘In Treatment,’ I looked at the throne and said, ‘Yeah, it’s a throne,'” he reports. Alas, he was wrong. 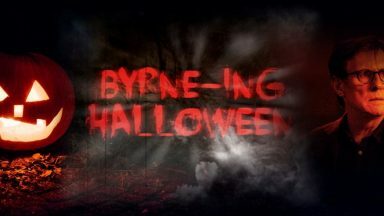 The throne was too big, which may account for the sinister snarl Byrne wears on his face in so many of his scenes. 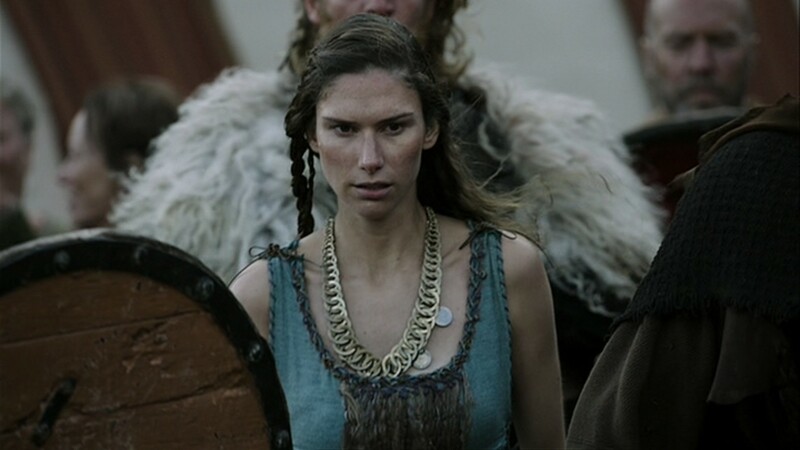 SDD: On Vikings, you play Siggy, who is one of the main female characters, and who kind of debunks a lot of what people thought Viking women were like. 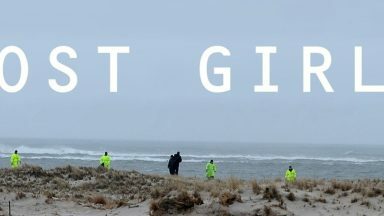 What was your approach to the character, her role and her motivations? JG: One of the ways that I feel history has been told, is that I don’t think women were not interesting, I just think that history has not been interested in women. I think women are always as interesting as men. What I appreciate about her [Siggy] is that being a woman in an oppressed situation, she would still be aware of that interest. That being said, with the Vikings, things based on what we glean from what limited information there is – it’s not a patriarchal society. Women had equal rights. In many cases, they were skilled in battle; they had opportunities for titles. It was interesting, because you knew that you could come at your role with a presence, and that kind of title and self-importance, that maybe would not be expected in a period piece. These were not retiring women. They had a presence. 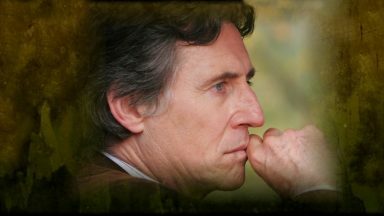 My role was especially interesting to me, because Gabriel Byrne was such an experienced collaborator. We spoke a lot together about what decisions we were going to make, as we were together in a lot of scenes. We talked about dictators, or couples, that ruled with this drive and this kind of conviction. We talked about being this couple that collaborated and used this publicly. He [Earl Haraldson] was really dependent on her, and what they both believed mattered. SDD: Oh! That definitely comes across to the viewer – all the sort of nonverbal communication. JG: Good! I’m glad it’s believable, because truth is, I don’t speak very much. It’s interesting for me, because a lot of people would say to me, ‘Wow, you don’t talk very much on the show.’ I think, coming from a background in theatre – in theatre there are many times that you are in a scene where you don’t speak, but the playwright put you in the scene for a reason. The scene is different if you aren’t there, or if you are there. That’s why I love Gabriel so much, because he has that experience as well, and he has a lot of communication that is non-verbal. It’s purely visual, and the fact that he saw that – while we had these conversations, we would talk about that, and how we hoped it would flesh out the characters and their relationship.